Accommodations in Mexico are significantly less expensive when compared to other popular international travel destinations, however they still cost money. While many travelers enjoy conveniences like Internet access, daily housekeeping, concierge services and other amenities afforded to them by chain hotels, if staying for an extended period of time, hotel room rates can add-up. Mexican Insurance Store.com- Mexico Extended Lodging Options for Travelers travel tips is brought to you by Mexican Insurance Store.com, offering best quality Mexican auto insurance comparisons from multiple insurers at affordable rates! For further information about Mexico insurance online visit Mexican Insurance Store.com and review multiple Mexican auto insurance comparisons. Mexico insurance online from Mexican Insurance Store.com or its equivalent is now required in order to drive on any highway in Mexico. One option designed to save travelers money when needing long-term accommodations is apartment rentals. These types of accommodations may or may not have some of the same amenities hotels offer, but are priced significantly less. Furnished apartments, when booked for the entire month, usually have an average daily rate of approximately $20 per day. Included in this rate is also bi-weekly housekeeping service; so trash and linen duties are covered. Even if you will not need a whole month, booking a monthly, short-term apartment rental allows for vacation flexibility and costs about the same as one week in a chain hotel. One disadvantage to consider when lodging outside of a hotel is transportation. You may end up needing a rental car or if staying at a rental unit within tourists’ zones, you may find the area’s bus transportation sufficient. Another option to save money on long-term lodging expenses is to stay in a house’s rented room or room at a bed and breakfast. From formal locations marked exclusively as bed and breakfast accommodations to local farmhouse rented rooms, many of these locations offer breakfast and dinner as part of their amenities. This allows long-term travelers to save money on meal expenses. Rooms at these types of locations are usually priced at about half of what chain hotels charge for standard accommodations. If interested in reserving a short-term apartment rental, be sure to contact a realtor specializing in vacation rentals ahead of time. Likewise, local bed and breakfast locations and rooms for rent can be found by visiting area tourism offices. 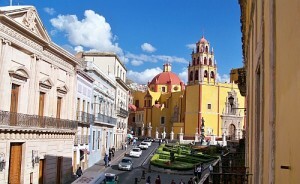 Mexico insurance online from Mexican Insurance Store.com comes with FREE Roadside Assistance for your piece of mind! It’s a nice feeling when I got to know that rates for hotels in Mexico are lower than in various major travelling destinations. I might not look elsewhere for my vacation trip. What? $20 a day for daily rates in hotel apartments in Mexico? This is great. I am buying the Mexican car insurance now. Then I’ll head immediately to Mexico to check this out.